We asked staffers what they really think of their Hill bosses. Here are the results of our 15th biennial survey. Photo-Illustration by CJ Burton. Best & Worst Badge by Neighborhood Studio. Politicians often praise the resilience of the American people in dark times, exhorting us to show the sort of spirit that makes us so indomitable a nation. No group, however, is more stalwart than America’s representatives themselves. Despite approval ratings lower than Vladimir Putin’s, the men and women of the 113th Congress have continued to debate, investigate, raise funds, and campaign with ebullience. Seeing as little if any legislation arises from their activities, it’s apparent that if there are winners and losers, hits and misses, the average citizen isn’t privy to the scorecard. 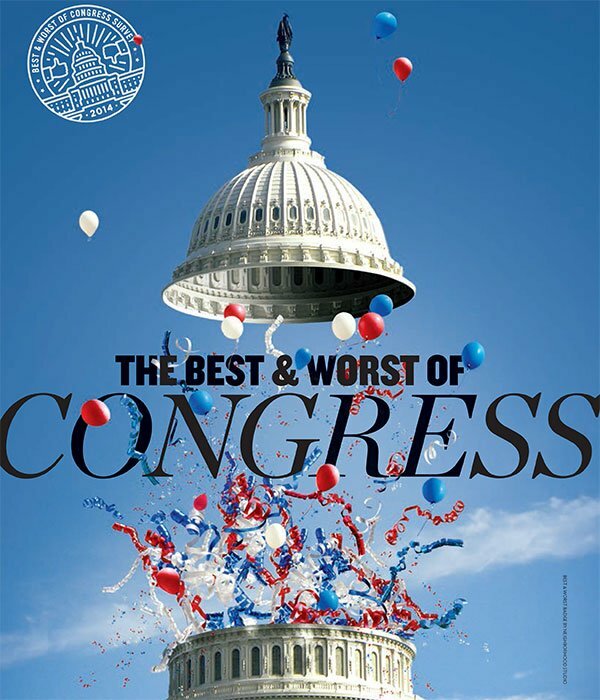 Since 1986, Washingtonian has sought the help of congressional aides in understanding their bosses. 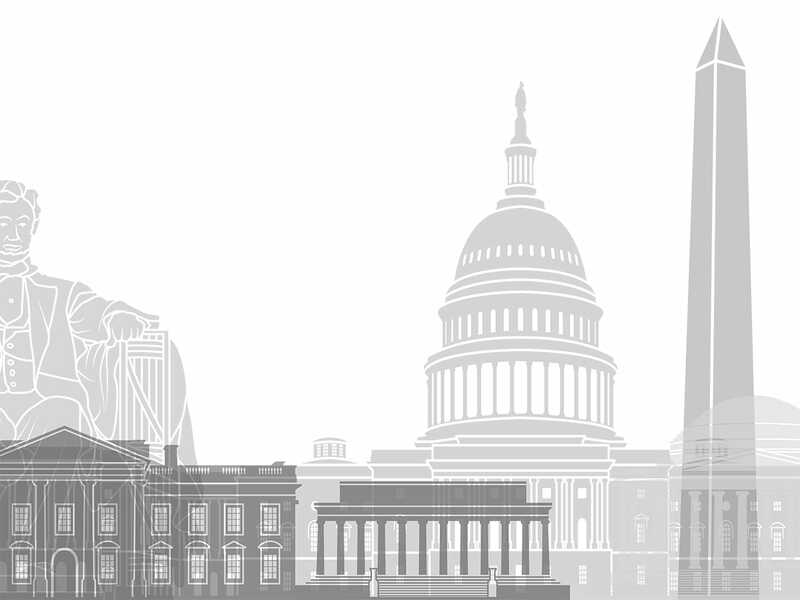 Every two years, before lawmakers and their staffs head off for August recess to start the election season in earnest, we send an extensive survey asking for the best and worst performers in a host of categories designed to get past the headlines and TV-news zingers to capture the true culture of Capitol Hill. This summer, our survey hit staffers’ desks soon after Eric Cantor’s shocking primary defeat seemed to put a chill on politics as usual. But soon enough the returns crept in, naming names and giving shape to our highest hopes and worst suspicions. Read on, and be resilient. The senator with a media gaggle as big as Texas became the top story on the Hill this session as he nearly single-handedly produced a shutdown, filibustered Obamacare, and even showed up at House GOP functions to exhort fellow Tea Partyers. Ted Cruz’s record earned him a variety of dubious distinctions in our survey, including showhorse, clueless, and most disappointing—and that was just from Republicans. 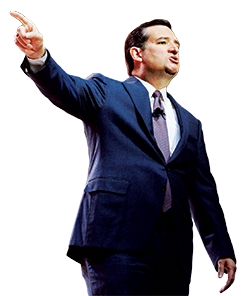 Don’t expect the feedback to rein Cruz in. Insiders point out that his carefully choreographed chaos is aimed at keeping him high on conservatives’ 2016 presidential shortlist. 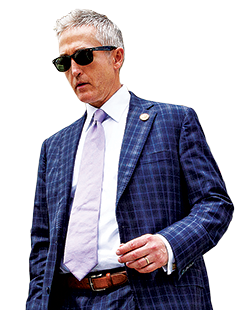 “Anyone who has encountered him walks away thinking he’s going to be a powerhouse,” a plugged-in Republican says of South Carolina representative Trey Gowdy. The Hill hoi polloi agree, voting Gowdy rising star and surprising standout as well as best speaker. (He self-effacingly thanks his colleagues, attributing his win to a generous grading curve in a House full of “poor public speakers.”) But the best evidence that the zealous Tea Partyer is on his way is that Speaker John Boehner named him to head the select committee on Benghazi, investigating the Libyan attacks—after Gowdy publicly told an elaborate joke that involved Boehner, tanning lotion, and Nancy Pelosi. Photograph of Mikulski by Scott J. Ferrell/Newscom. 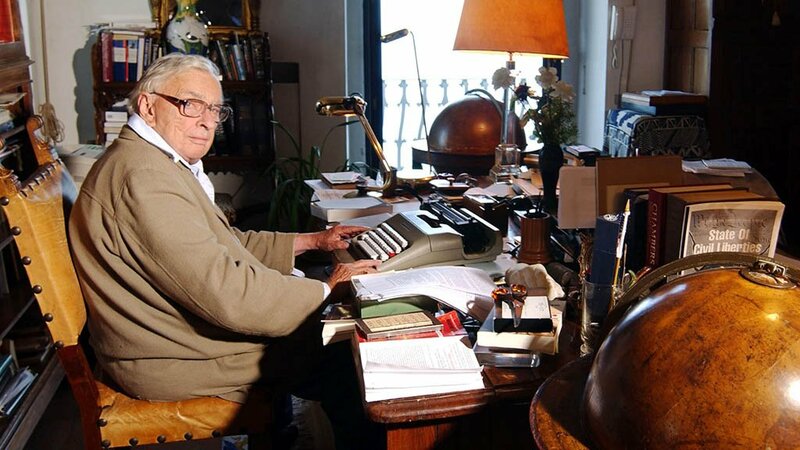 Photograph of Reid by Joshua Roberts/Newscom. In a Congress in which the GOP is portrayed as uncaring and inarticulate, these two heavyweight Dems, who placed one-two for meanest in the upper chamber, provide a hint of balance. It may be that meanness is in the Senate majority leader’s job description—herding 100 nearly evenly split, millionaire egomaniacs isn’t patty-cake, after all. And wielding the hammer on Appropriations is unlikely to earn Maryland’s Barbara Mikulski a reputation for warmth. 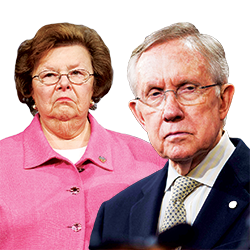 Even so, Harry Reid’s appetite for a fight, compounded by the Nevadan’s sneering, reedy delivery—he was also voted worst speaker—seems to come naturally, and Mikulski arrived in the capital “frumpy, loud and sometimes rude,” according to a 1986 People magazine story. The real question is: Would we want them any other way? Reid’s recent attempt at lightheartedness, telling an Asian audience he had a problem “keeping my Wongs straight,” suggests the answer is no. Photograph of Capps (left) by Robert Giroux/Newscom. Photograph of Lee (right) by Bill Clark/Newscom. 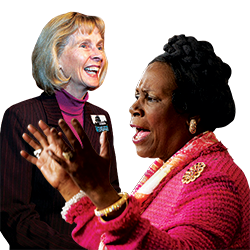 California congresswoman Lois Capps’s repeated wins for nicest in the House aren’t based on cheerful demeanor alone. A nurse by training, Capps—who founded a center for pregnant teens—would easily win Most Likely to Sponsor Bills With “Mom” in the Title. Her counterpart is Texas representative Sheila Jackson Lee, voted one of the top three meanest by House staffers five times. Former aides tell of excessive workloads, brutal criticism, and callous comments toward a disabled staffer (who is suing Lee). She got seven times as many votes as North Carolina’s Virginia Foxx. 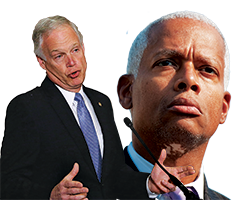 Photograph of Ron Johnson (left) by Gary Cameron/Newscom. Photograph of Hank Johnson (right) by Tom Williams/Newscom. The fine line between goofing around and looking goofy is one that most-clueless winner Representative Hank Johnson of Georgia has repeatedly tiptoed, bizarrely quizzing an admiral at a hearing about whether base expansion on Guam threatened to “capsize” the island and, more recently, opening a speech on the House floor with a paean to helium balloons. Watching Johnson claim he was “using a metaphor” is nearly as cringe-inducing. (He also won worst speaker in the House.) On the Senate side, Wisconsin’s Ron Johnson earned “clueless” honors the old-fashioned way, spouting gaffes on climate change (Greenland “was actually green at one point”) and hyperbolizing (Obamacare is the “greatest assault on our freedom in my lifetime”) often enough to inspire a website titled Our Dumb Senator. What likely put him over the top in the survey, however, was filing a nuisance lawsuit this year that would have deprived Hill staff of their health-coverage subsidy. 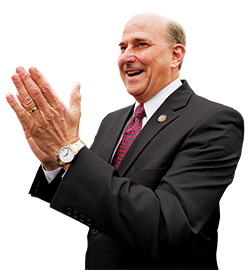 Photograph of Gohmert by Scott J. Ferrell/Newscom. Photograph of Flake by Bill Clark/Newscom. An anti-earmark firebrand in the House, Arizona Re-publican Jeff Flake has adopted some of John McCain’s mustang demeanor since arriving in the Sen-ate in 2013. 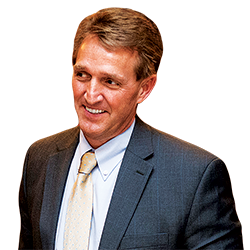 Flake’s tough votes sup-porting a ban on discrimination against gays in the workplace, which faced conservative opposition, and in favor of the bipartisan immigration bill (one that sank Marco Ru-bio) are likely what induced staff-ers to make Flake the Senate’s surprising standout. 1. Kirsten Gillibrand (D-N.Y.): Still coasting on her 2010 Vogue feature, her structured suits in sensible colors, and her understated accessories. 2. Orrin Hatch (R-Utah): Sure, he’s got the red-tie/blue-suit thing down, but also an arsenal of dashing neckwear—such as the orange-and-cream stripey number he’s been spotted wearing. 1. Nancy Pelosi (D-Calif.): Pelosi’s power-suit success lies in her gumball-inspired necklaces, which she has in a multitude of styles. Add a fondness for neutral palettes and prints and she’s a winner more often than not. 2. Aaron Schock (R-Ill.): Sharp suits, unique tie/shirt combos, and casual business attire almost make us forget that shirtless Men’s Health spread. 1. Barbara Boxer (D-Calif.): While she gets points for trying, Boxer confuses the issue by pairing subtle suits with loud prints, or long-sleeved shirts under a short-sleeved dress. 2. Barbara Mikuski (D-Md. ), Bernie Sanders (I-Vt.): It’s not the rumpled-professor look so much as the hair: If you can’t gel, Congressman, perhaps try a comb? 1. Rosa DeLauro (D-Conn.): If a crafts festival and a Renaissance Fair got together and made a store, DeLauro would shop there. We do give her props for individuality. 2. Jared Polis (D-Colo.): Our best guess is that he’s taking fashion cues from his orange-and-blue Broncos. But that doesn’t explain unironed shirts and Beat-poet black turtlenecks under pinstriped blazers. Photograph of Paul (left) by Kevin Dietsch/Landov. Photograph of Rubio (right) by Bill Clark/Newscom. 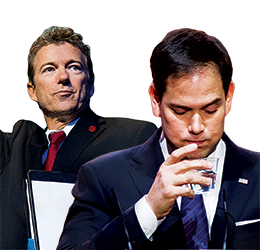 Politicians will spend millions in consultant fees divining the curiously diverging fates of senators Rand Paul and Marco Rubio. The Floridian Rubio thought to kick off a once-promising presidential run by angling toward the middle (and the GOP’s 2016 “it” constituency, Latinos), offering ideas on immigration reform. The only votes that Rubio’s moderate moves got him in our survey were for biggest disappointment. Meanwhile, Kentucky’s Rand Paul, who was voted rising star, has appeared before traditionally Democratic sectors—the nose-ring digital natives at Berkeley and African-Americans—without tarnishing his sterling Tea Party chops. Edited by Paul O’Donnell with Elana Schor and Maddy Berner. 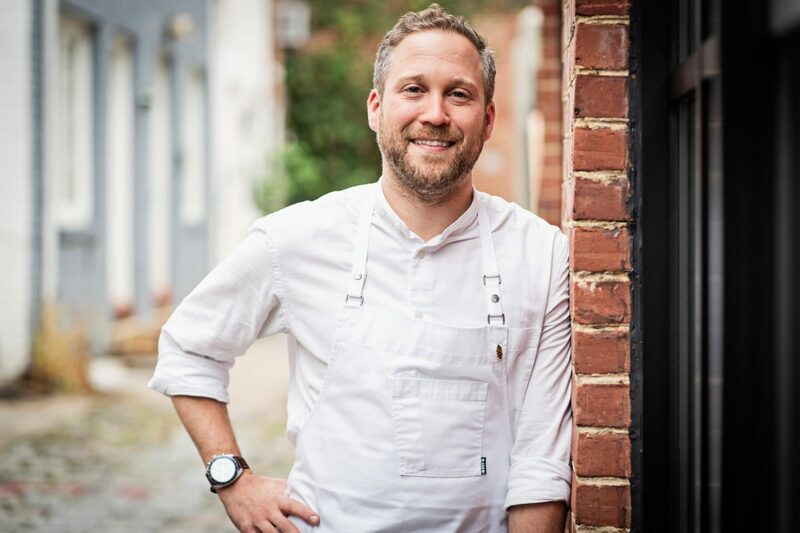 This article appears in the October 2014 issue of Washingtonian.